Your ability to get out if there is a fire depends on advance warning from smoke alarms and advance planning. Pull together everyone in your household and make a plan. Walk through your home and inspect all possible exits and escape routes. Households with children should consider drawing a floor plan of your home, marking two ways out of each room, including windows and doors. Also, mark the location of each smoke alarm. For easy planning, download NFPA’s escape planning grid (PDF, 634 KB). 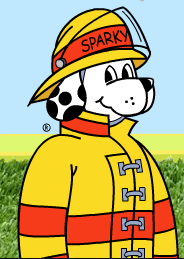 This is a great way to get children involved in fire safety in a non-threatening way. In some cases, smoke or fire may prevent you from exiting your home or apartment building. To prepare for an emergency like this, practice “sealing yourself in for safety” as part of your home fire escape plan. Close all doors between you and the fire. Use duct tape or towels to seal the door cracks and cover air vents to keep smoke from coming in. If possible, open your windows at the top and bottom so fresh air can get in. Call the fire department to report your exact location. Wave a flashlight or light-colored cloth at the window to let the fire department know where you are located.